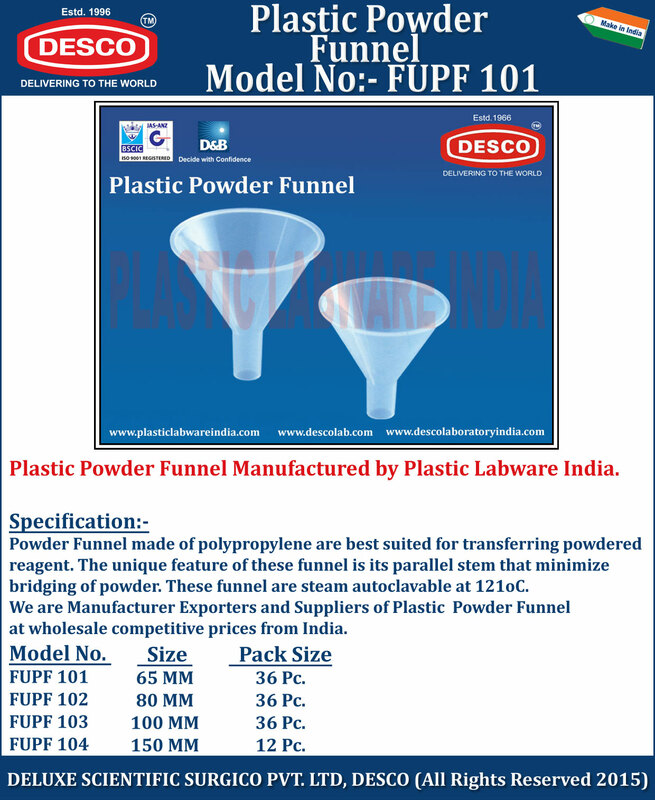 Powder Funnel made of polypropylene are best suited for transferring powdered reagent. The unique feature of these funnel is its parallel stem that minimize bridging of powder. These funnel are steam autoclavable at 121oC. We are Manufacturer Exporters and Suppliers of Plastic Powder Funnel at wholesale competitive prices from India. FUPF 101 65 MM 36 Pc. FUPF 102 80 MM 36 Pc. FUPF 103 100 MM 36 Pc. FUPF 104 150 MM 12 Pc.